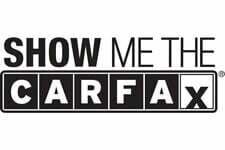 With its Buyback Qualified CARFAX report, you can rest easy with this BMW purchase. At just 17149 miles, this 2015 BMW provides great value. Comes equipped with: Bang & Olufsen Sound System, Black Sapphire Metallic, Black, Extended Merino Leather Seat Upholstery, Competition Package, Driver Assistance Plus, Enhanced Usb & Bluetooth W/Smartphone Integration, Executive Package, M Carbon Ceramic Brakes, Transmission: 7-Speed M Double-Clutch W/Drivelogic, Wheels: 20" X 9" Frt & 20" X 10" Rr M Alloy. This BMW M6 also includes Air Conditioning, Power Driver's Seat, Clock, Climate Control, Power Passenger Seat, Tachometer, Dual Zone Climate Control, Cruise Control, Power Steering, Telescoping Steering Wheel, Power Windows, Steering Radio Controls, Power Mirrors, Lthr. Steering Wheel, Driver Airbag, Passenger Airbag, Intermittent Wipers, Side Airbags, Rear Defogger, Security System, AM/FM, Anti-Theft, CD Player, Surround Sound, Satellite Radio, Bluetooth, Navigation System, Sport Seats, Carbon Fiber Trim, Center Arm Rest, Cup Holders, Vanity Mirrors, Heated Mirrors, Rear Fog Lamps, Daytime Running Lights, Parking Sensors, Reverse Camera, Side Curtain Airbags, Roll Stability Control, Adaptive headlights, Tire Pressure Monitor, Premium Sound, Carpeted Floor Mats, HID Headlamps, Front Heated Seats, HD Radio, Onboard Hard Drive. 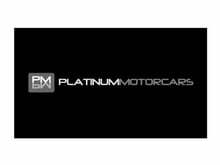 Platinum Motorcars is an independent used car dealership founded in 2010. We are comprised of four car fanatics each with years of experience in different avenues of the auto industry. While our backgrounds may be different each one of us has always taken pride in offering first class customer service and quality vehicles at competitive prices. We offer a hassle free friendly environment and believe that generally the car will sell itself. In the auto industry you live or die by your reputation and we take that to heart. Nothing makes us happier than a repeat customer or referral from a past customer. Contact us today at 248-313-2800 for more information, or fill out our Online Credit Application to begin the pre-approval process today. Terms of Sale Overview: We reserve the right to end this listing at anytime should the vehicle no longer be available for sale. Please view our website PMC-detroit.com for full pictures and descriptons. The following terms of sale apply to all of our listings. Payment Terms: The successful high bidder will submit a $500 non-refundable deposit within 1 business day of the close of the auction. Buyer agrees to pay remaining balance due (plus applicable fees and taxes) within 5 days of the close of the auction. All financial transactions must be completed before delivery of the vehicle. Payment Methods: Cash (In Person), certified check, bank transfer, or 3rd-party financing. Fees and Taxes: All Michigan Residents must pay state sales tax at time of sale. We will not collect any taxes from out of state buyers: they will be responsible for all state, county, city taxes and fees, as well as title/registration fees in the state that the vehicle will be registered. Out of state buyers are responsible for all state, county, city taxes and fees, as well as title/registration fees in the state that the vehicle will be registered or on occasion will be collected by state of Michigan. Please call or email us for full terms of sale. Contact Platinum Motorcars today for more information on this vehicle.